Warts, those rough, unpleasant growths that can suddenly pop up on your hands or feet, are caused by a viral infection and must be properly treated. Cherrywood Foot Care know the best ways to treat warts will clear them up in a timely manner. Cryotherapy is a standard treatment for warts that utilizes a very cold substance (usually liquid nitrogen) to freeze and deaden the targeted tissue. Cryotherapy can be done in a doctor’s office and takes less than a minute to perform. 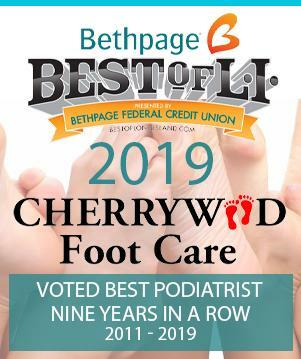 During the procedure, a board-certified foot experts from Cherrywood Foot Care‘s team of highly trained professionals applies the liquid nitrogen to the wart using a probe or a cotton swab. Liquid nitrogen can also be sprayed directly on the wart. The freezing liquid may cause some discomfort or pain, which is why a local anesthetic is sometimes used. Studies show that cryotherapy is successful about two-thirds of the time, and when combined with salicylic acid treatment, up to 70 percent of the time.